Women pray during the Islamic Foundation of Greater St. Louis' service to celebrate Eid al-fitr, or the breaking of the month-long Ramadan fast. The gymnasium at St. Louis Community College-Forest Park was filled with hundreds of St. Louis area Muslims celebrating the Eid holiday and the end of Ramadan. Men bow in prayer in the direction of Mecca during an Eid service put on by the Islamic Foundation of Greater St. Louis. Women bow on prayer rugs pointed in the direction of Mecca during an Eid prayer service in St. Louis. Tanya (left) and mom Hina Raja of Wildwood show off the mehndi painted on their hands. Mehndi, or henna, decorations are typically worn during times of celebration, like Eid, says Hina Raja of Wildwood (right). People greet and congratulate each other on completing the Ramadan fast after the Islamic Foundation of Greater St. Louis' Eid prayer service in the gym of St. Louis Community College-Forest Park. St. Louis native Yasmin Malik (left) of Portland, Ore., came back to celebrate Eid with her family, including her niece and mother. Hundreds of people, clad in colorful dresses and their finest clothes, filled the gymnasium at St. Louis Community College's Forest Park campus. After taking off their shoes, multi-generational families placed rugs on the floor, pointed in the same direction. Waving, hugging and greeting one another, people waited for the beginning of the prayer service to mark the end of the Islamic holy month of Ramadan. "(Ramadan) teaches us patience, submission to God," said Ghazala Hayat, chair of the public relations committee for the Islamic Foundation of Greater St. Louis. "I always call it a refresher course. We do a lot of charity work, abstain from food and water ... It’s also discipline for Muslims." Prayer begins during a service to celebrate Eid al-fitr, the Islamic holiday marking the end of the holy month of Ramadan. 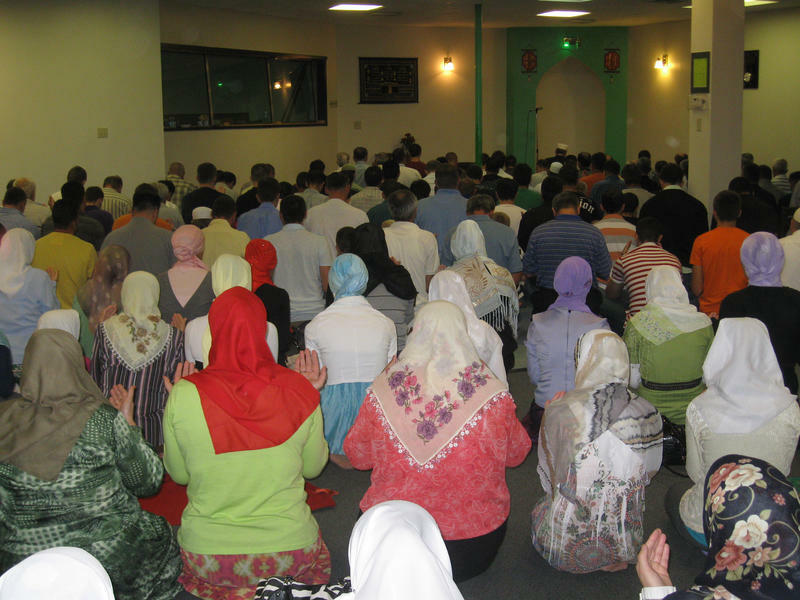 The Islamic Foundation's prayer service in the gym (which Hayat estimates was attended by a few thousand people) was one of many held at mosques and community centers across the St. Louis area to celebrate the holiday Eid al-Fitr, or the breaking of the weeks-long dawn-to-sunset fast. In Tower Grove Park, the Grand Islamic Center held prayers for what Imam Abdul Hakim expected would be at least 300 people. He said the purpose of the prayers are to "magnify Allah ... for having guided you so that you be grateful to him." Along South Grand Boulevard, a group of young Muslims with the Islamic Information Center of Hazelwood marked the holiday by passing out gift bags of candy and information about Islam to strangers. "When it is Eid ... all Muslims are giving gifts to each other — to family members. It is a family thing. So we living in this community, we think everyone is part of the family, so let’s share the Eid with them on the streets," said Taoheed Atal as he passed out bags. "We are trying .. .to share our happiness with them." Indeed, the Eid celebration is "a day of joy," according to Sheikh Mohammed Nur, former longtime imam at Daar-ul-Islam (the Islamic Foundation). "Today you are celebrate that almighty God accept our faith, our fasting and our good deeds, so this day of joy, celebration, happiness and meeting everyone here in this hall," he said. After prayer at the gymnasium, people celebrated completing the fast with each other, greeted old friends, and planned to feast. And then, "the party starts," Hayat said. "We are going to one of our friend's house, we are going to have food. We will also have a dinner tonight, where all the families are getting together. We will go from place to place, party-hopping," she said. St. Louisan Suhaine Mokhter with daughter Sophie said this is her first Ramadan without her family, who are back in Malaysia. Dr. Ghazala Hayat (center) of the Islamic Foundation of Greater St. Louis celebrates Eid with her father, Malik Khan, and son, Jibraun Riaz. Correction: This article originally incorrectly stated that Ameer Raja completed all 29 fasts. It was 12-year-old Ali Raja who completed the fasts. The term "televangelist” was coined in a 1975 TIME magazine article to describe a practice now familiar to many Americans. 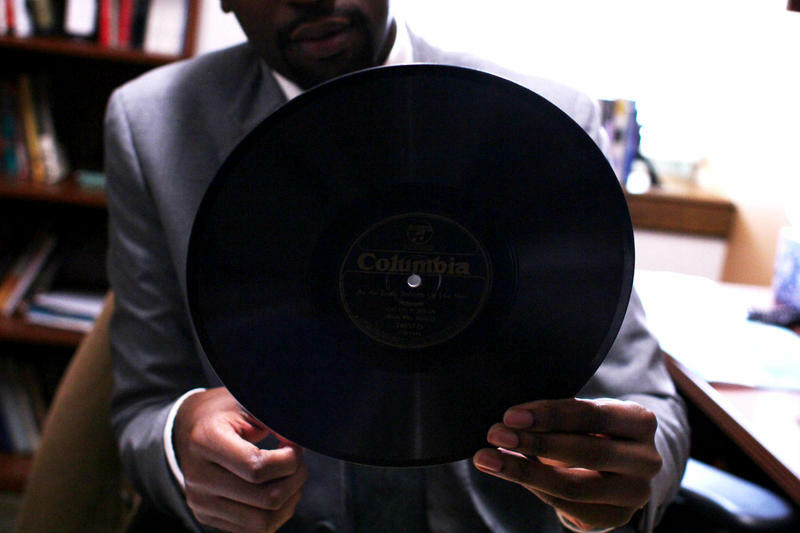 Lerone Martin said that practice may stem from sermons recorded in the mid 1920s. Martin wants people to imagine a recording session with Louis Armstrong and his musicians in New York’s Columbia Records studios as one of the first bridges established between religion and mass media. 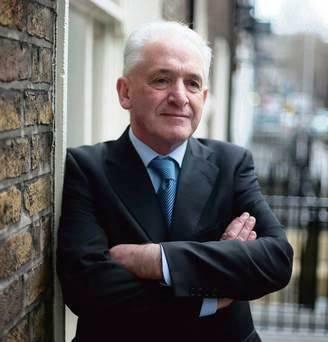 In 2012, Tony Flannery, an Irish priest and religious writer, found out the Congregation for the Doctrine of the Faith, the Vatican’s watchdog group, was displeased with some of his writings about the church. As March winds blasted the region, West County lawyer Lubabah Abdullah’s hair remained neat under a bright scarf, giving her the élan of Grace Kelly riding in a sleek convertible with Cary Grant. Abdullah, an American-born Muslim of Sudanese Arab heritage wraps her head in bright colored scarves for modesty. Mehnaz Afridi was astonished to learn that half of this area’s Muslims are Bosnians. 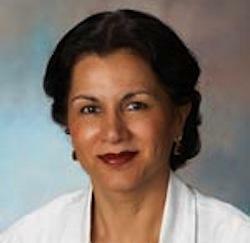 The Muslim scholar will be in the area March 31 to give the Lee Institute lecture on the issues faced by Muslim women. For many in St. Louis, one of the main issues is correcting misperceptions. The great majority of Bosnians resettled here between 20 and 11 years ago to escape the former Yugoslavia’s devastating war of religious persecution in 1992-95. Members of the new generation, born in St. Louis, are now graduating from high school. Whether or not St. Louis will play host to migrant children who are part of the Central American border surge is still unclear. In the meantime, community members are praying. Nearly 70 people gathered at Tower Grove Park for a prayer vigil for migrant children. 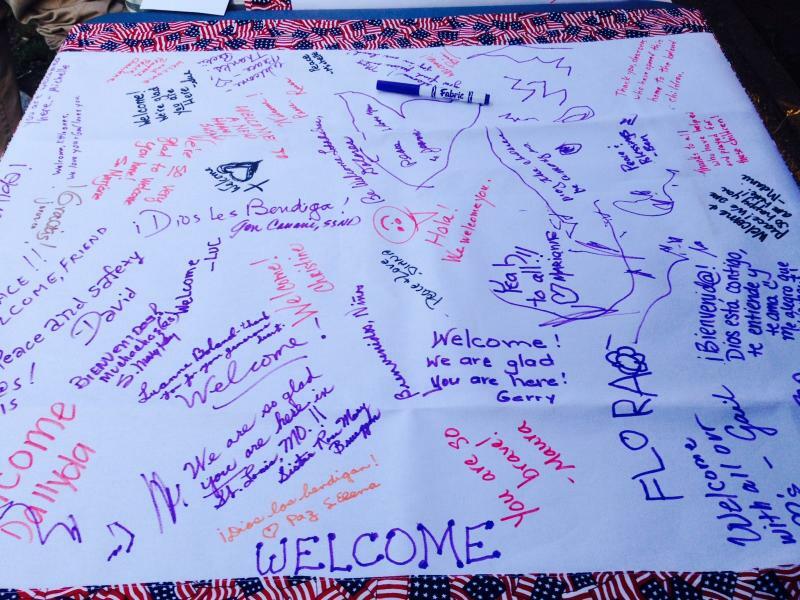 The vigil was hosted by a coalition of organizations that, along with St. Louis and St. Louis County, applied for federal grants to help house undocumented youth from Central America.